Ready to put your personal brand in front of the world? As a CEO, your influence on growth and strategic decisions must be evident to employers, Boards, and investors. Globally known for providing CEOs with a distinct advantage in today’s job market, I partner with you to build a memorable value proposition evident throughout your Resume and LinkedIn Profile. 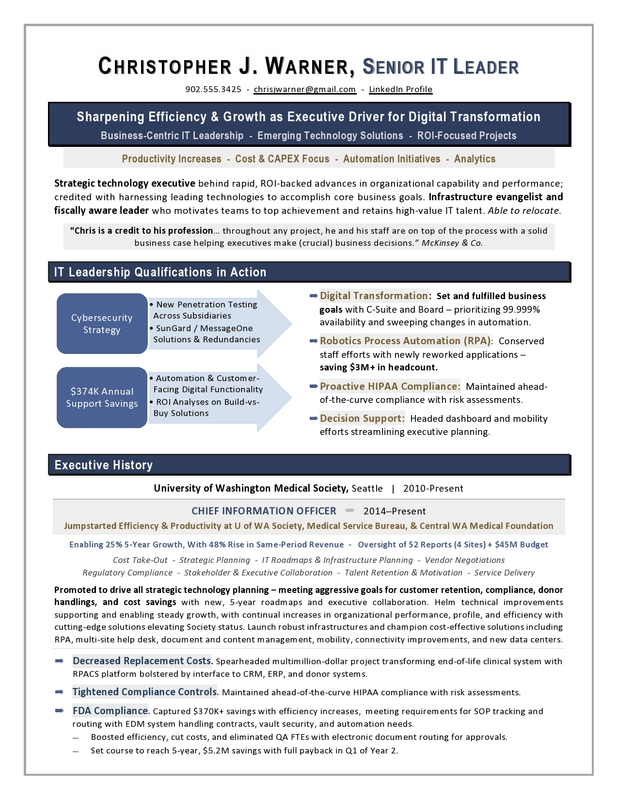 This CEO resume won a global TORI award – and this CEO landed a choice executive role by conveying a strong value proposition backed by examples of performance. 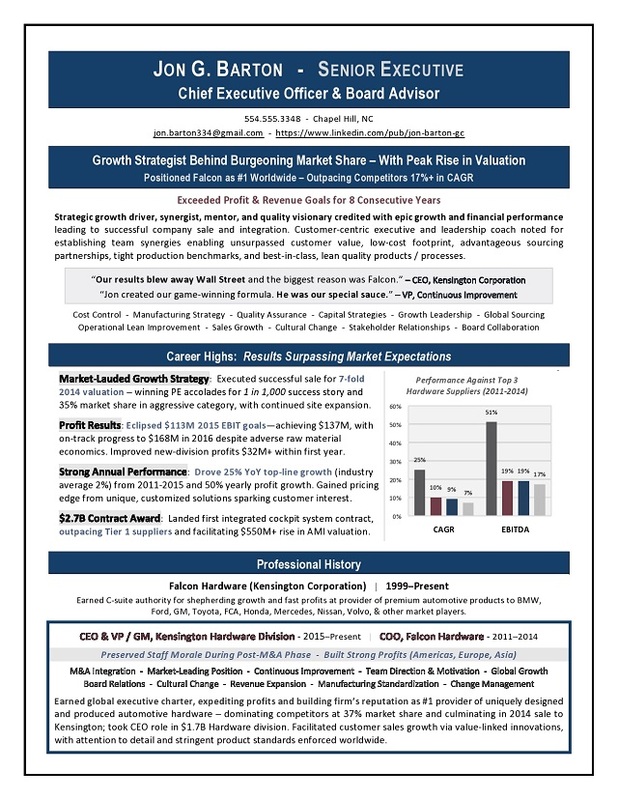 The first page of this interview-winning CEO & Board Advisor resume, which won a Best Executive Resume award, is shown below. 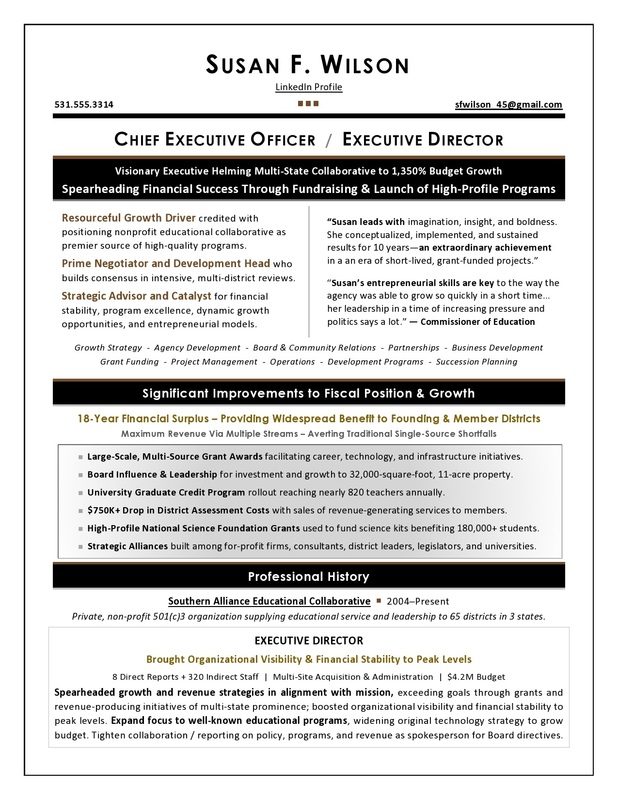 What makes my CEO resume writing service the best choice for you? My clients experience OUTSTANDING results and increased confidence as a result of my services. I know the qualities that employers seek – and many executives miss – that can make or break a hiring decision. Ranked among best executive resume writers, Laura Smith-Proulx offers executive resume writing services to CEOs and other rising leaders.